Solel Boneh Building & Infrastructure, Ltd.
Steel Bridge News, June 2008, Craig Finley, P.E., Jerry Pfuntner, P.E. 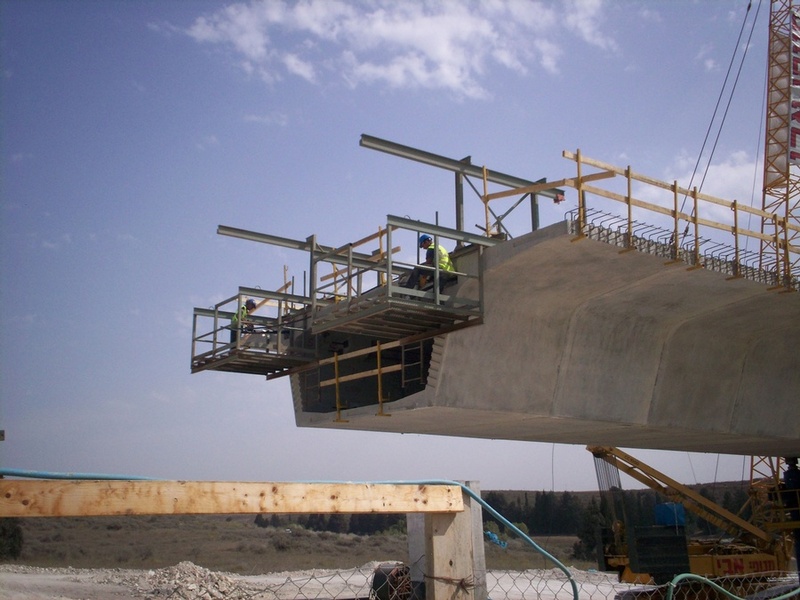 The $210 million Section 18 project is part of a Build-Operate-Transfer funded toll facility in Israel. 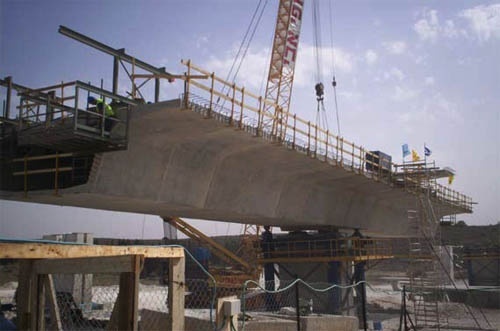 This project includes the construction of 10 precast segmental bridges with span lengths from 33.7 m to 66 m. This structure made it challenging to produce an economical longitudinal design, utilizing an existing casting machine per a 26 m deep section. 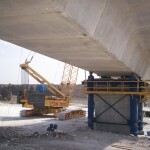 This created a span-to-span depth ratio over 25, which is well over the normal range for a constant depth box girder. 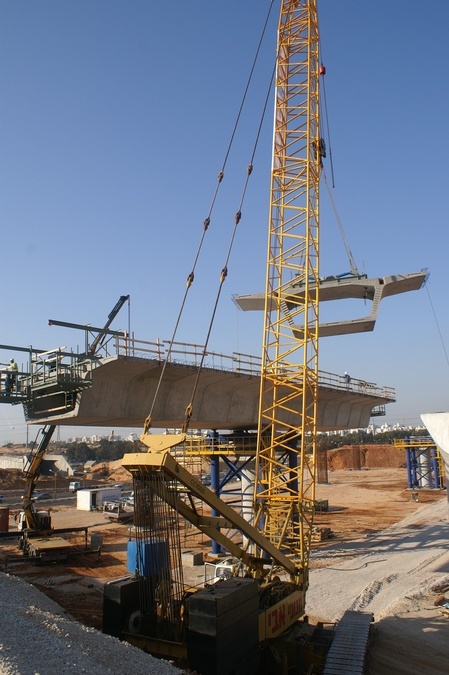 The bridges were constructed in balanced cantilever using ground based cranes and falsework support systems. Each new twin bridge carries two lanes of traffic – a total of four structures and eight lanes. 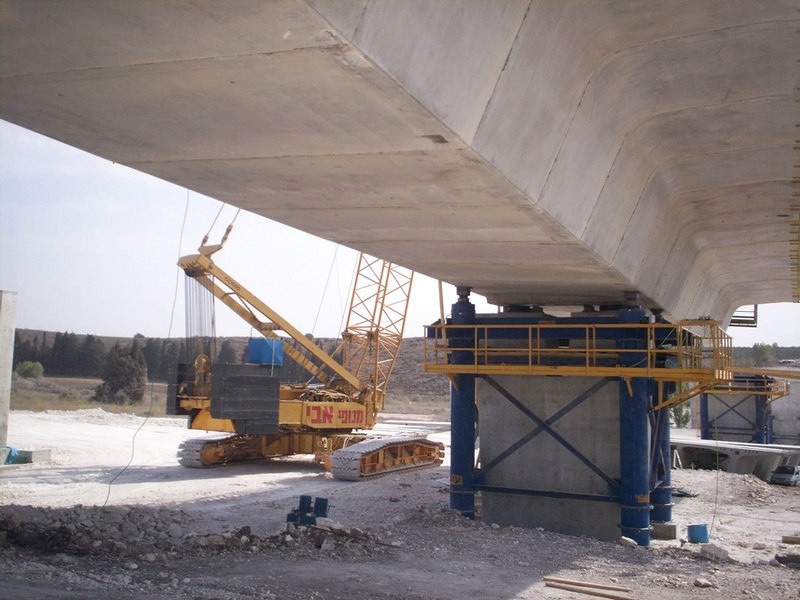 These bridges have span lengths up to 66 m and were constructed in balanced cantilever using ground-based cranes and falsework support systems. The use of external tendons reduced the construction time and costs and will provide cost-savings for future maintenance. 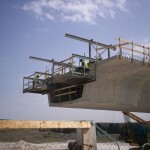 The design also accommodates potential widening for a third box girder between each twin structure. 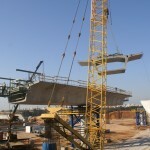 FINLEY developed future widening details into the center box girder pre-casting to allow for future widening to be accomplished. This included time dependent analysis of the widened structure, which has an additional structure with different creep and shrinkage rates. FINLEY provided superstructure design and construction engineering services, which included shop drawings, temporary support design, construction analysis, casting geometry, post-tensioning calculations, and erection manuals.